Buy Right Windows are the right choice for all your double glazing in Kent, installing only the finest quality uPVC windows, doors and conservatories. We are accredited by Certass, ensuring you are purchasing from a company that puts quality first. 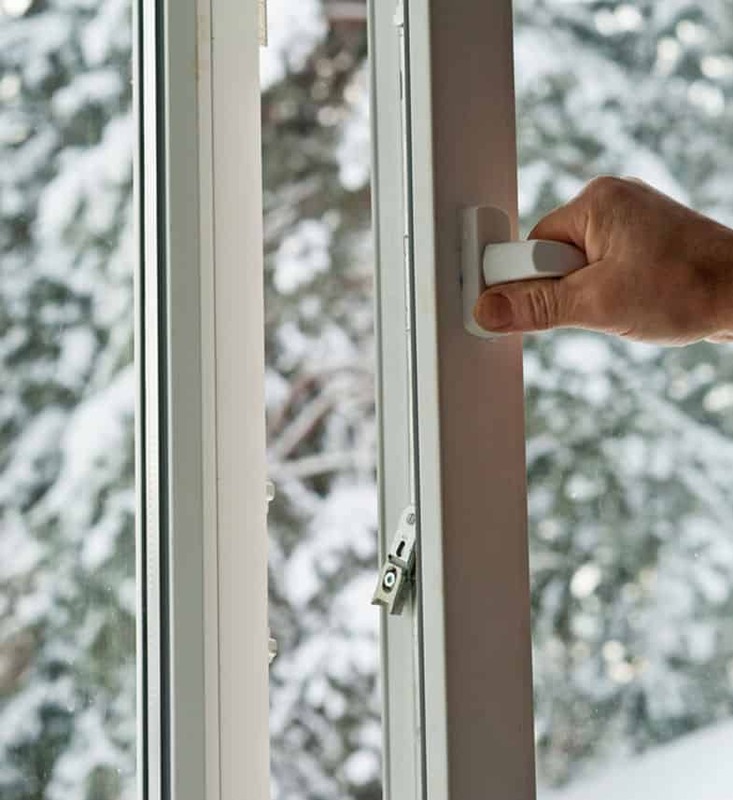 Buy Right Windows are also a member of the Double Glazing Network using Liniar products with Liniar being the market leader when it comes to uPVC. We care about our customers, which is why our products rate highly in energy efficiency, helping you to save money on your heating bills. Buy Right is a family run business with over 30 years’ experience so we are the only choice for double glazing in Kent. Buy Right Windows offer a double glazing product for every Kent property. Choose from our stunning range of windows, doors and conservatories, each with their own customisation options, helping you to design your dream double glazing. From design to installation, we will be with you every step of the way to ensure you find the perfect product for your Kent property. We believe in high-quality, transparent service that creates the perfect result for you, which is why we’re confident we can find you the perfect double glazing. We have an unbeatable range of double glazed windows available for you to choose from. Whether you are looking for a functional window that has fantastic practicality, or a window that looks stylish and will add character to your Kent home, we are guaranteed to have the double glazing solution for you! Our uPVC Casement windows are engineered to provide resistance against all weather conditions and are highly durable whilst remaining aesthetically pleasing with their slim sight-lines. Want to maintain the character of your home? Then our uPVC Sliding Sash windows are perfect for you. They look traditional but come with all the modern properties that uPVC offers, being long lasting and having superior energy efficiency. UPVC Tilt & Turn windows are perfect for you if you live in a gorgeous Kent apartment as you can clean them from the outside. They are also resistant to corrosion and have a sleek European style to them. Our uPVC French Casement windows help natural light to flood in, making your Kent home look better than ever, both from the inside and the outside. They are low maintenance and energy efficient. Our stunning selection of uPVC double glazed doors help to enhance the look of your Kent home. They look stylish but are also practical. All of our uPVC doors comply to Secured By Design a Police backed scheme for safer homes. Composite doors are timeless, making for a great front or back door with superb double glazing. They are low maintenance and weather resistant, making them a great choice for your Kent home. Our uPVC Stable doors allow you to open one half or even both halves of the door, giving you more flexibility. They are an excellent option if you have children or pets. Fantastic for additional ventilation, your Kent home will be far more airy with one of our fantastic upvc stable doors. Want easy access to your beautiful Kent garden? Our uPVC French or Patio doors are perfect for you. 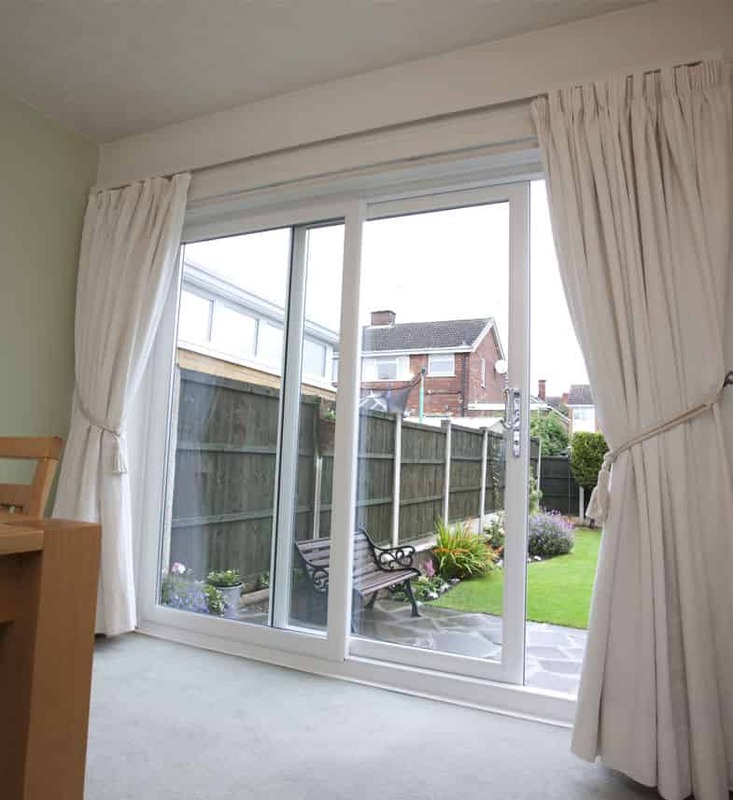 They are both available in low thresholds, making them a great double glazing choice if you have restricted mobility. French doors help you to open up your home to the world whilst our Patio doors slide effortlessly open. Buy Right’s uPVC double glazed conservatories offer something for everyone. Whether you’re looking for a gorgeous new double glazing design feature or just want some additional space, our stunning range of conservatories suit a range of homes in Kent and Sittingbourne. 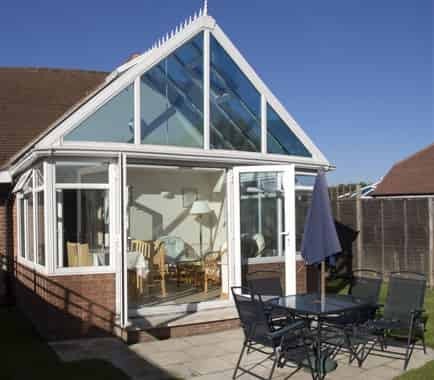 Take a look at our great range of conservatories. Choose a beautiful Victorian conservatory for your traditional Kent property, that has the beautiful aesthetics of the Victorian period with the 21st century security benefits of uPVC. With a choice of either 3 or 5 facet design, natural light will be encouraged into your property, giving the illusion of additional space. Looking for a generous floor-plan? Edwardian Conservatories are for you, designed with a clean, rectangular structure to make use of the space in your Kent home. Perhaps you’re looking for double glazing in Kent with a touch of grandeur? Our Gable conservatories have high-angled roofs to amplify light and space, and you can incorporate a ‘rising-sun’ detailing for extra character. Double glazing doesn’t always have to be expensive – our Lean-To conservatories are a perfect example of this. Accommodating most styles of Kent properties, our Lean-To conservatories can be fitted for properties with height restrictions such as bungalows or terraced homes. Perhaps you would prefer a more tailored option? No problem – we offer a fantastic bespoke service so that you kind find the perfect double glazing for your Kent home. Contact us today for more information, we’re excited to hear all about your ideas! When purchasing double glazing for your Kent home, we understand that security is top priority. It’s for this reason that we’ve included top of the range Yale locking systems, which will keep your family safe and sound against any forced entry. Here at Buy Right Windows, we believe your family can never be too safe. All of our locking systems come with £1000 towards your home content insurance in the unlikely event of a break-in, and they are also accredited by Secured by Design, a police-preferred scheme that verifies locking systems as safe against forced entry. Our online quote page makes obtaining a double glazing quote simple. You can also phone us on 01795 427 222, and our incredibly friendly and highly knowledgeable staff will always be on hand to answer any questions you may when it comes to choosing your new double glazing solution in Kent.